When I read Michael Miller’s work, an image appears in my mind of a poet sitting on a bench near Emily Dickinson’s house in Amherst, Massachusetts where Miller walks daily and receives the Muse — perhaps even Emily’s Muse. In fact, Miller’s latest book of poetry, In the Mirror, includes a poem entitled “Visiting Emily,” in which he expresses the desire to ask the famous New England poet “…about living, dying, /About the veins of a leaf/As thin as my white hair…” In this poem, he imagines how Emily nods to a 200-year old oak, saying “in a barely audible voice/That the finches will not/Be in mourning on the branches/ Once all the leaves have fallen.” The poem is a salute to the bard of Amherst and to an ancient oak whose branches point upward toward the Pelham hills. 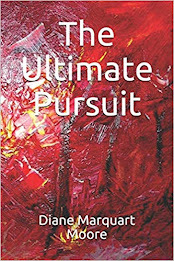 I have enjoyed a sporadic correspondence with Michael Miller during the last five years, and through readings of his e-mails and the poems that reflect his rich inner life, I think that he represents the best of the group of poets published by Pinyon Publishing, his books appearing almost yearly now through the nurturing of Pinyon and its editor Gary Entsminger. In V. of this long poem, Miller evokes his poetic powers with force and brevity, recording the regrets of an old woman: “In the light of the window, /With her still steady hands, /She is sewing a hole in her life, The needle and thread/A companion from childhood/A contrast to the losses/Accumulated through time …” This is a poem about resilience and hope, conveyed through the surprising voice of an elderly person who has transcended loss and suffering. 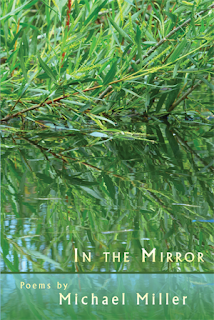 This is a splendid collection of poems, honest and original, and as I said in the opening paragraph of this blog, Miller represents the best of Pinyon’s poets who have looked at the world and have clearly come to recognize the magnitude of life. Michael Miller’s poems have appeared in The Kenyon Review, The Sewanee Review, The New Republic, The Yale Review, and other publications. He won First Prize for his poem, “The Different War,” awarded by the W.B. Yeats Society and anthologized in Yeats 150. 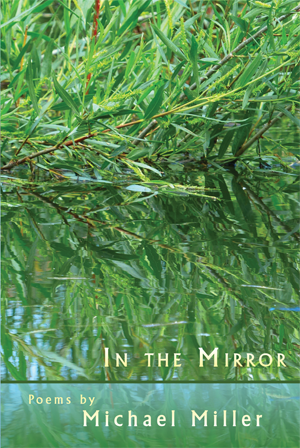 In the Mirror is his seventh book of poetry. Miller lives in Amherst, Massachusetts, along with the same Muse who inspired Emily Dickinson, Robert Frost, Robert Francis, and other outstanding New England poets. Salud, Michael!